Hello, blog friends! It's time for a brand new challenge at DeNami Design!!! This time around we have a FABULOUS sketch from the ULTRA TALENTED Paulina!!! I ADORE this little soccer chickie!!! He's part of the All Star Chickies Stamp Set, which also contains a football player chickie, a baseball player chickie and a long-legged basketball player chickie!!! SOOOO SUPER CUTE!!! 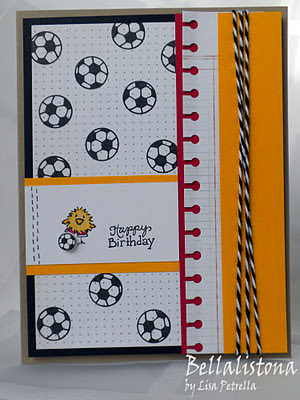 And it pairs PERFECTLY with the Sports Balls Stamp Set, which I used to created the soccer ball background panel! FUN! Hope you like my creation for today and hope you'll join us for this sketch challenge!!! 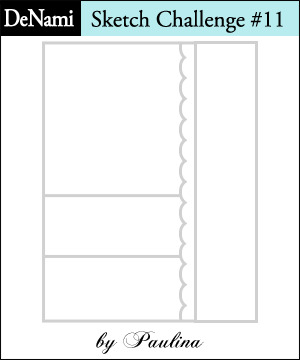 Be sure to head on over to the DeNami Design Blog for all of the details and to check out my fellow DT gals' FANTASTIC projects!! Super cute sporty card Lisa! 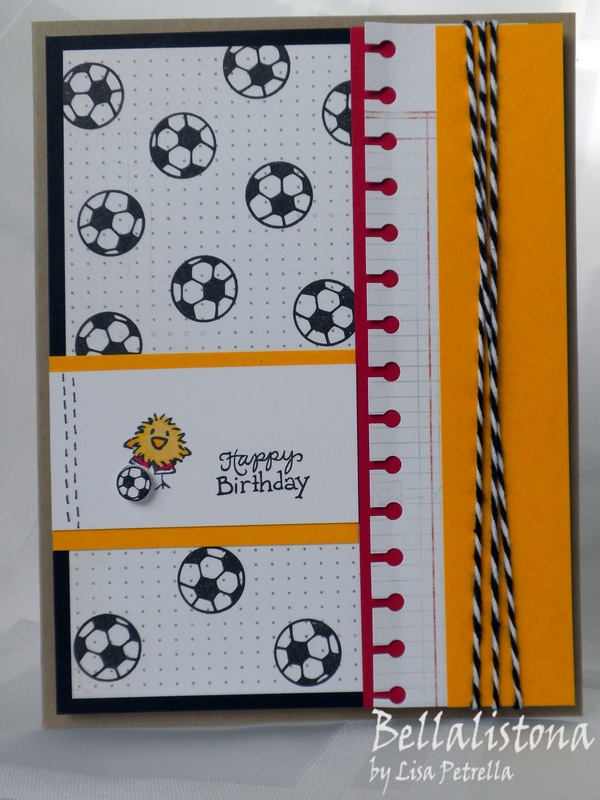 The colors and notebook edged paper go perfectly with the soccer chickie! Hi Lisa, how are you? 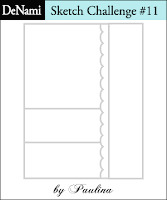 Your card is just darling. I hope to catch up with you all on 2/20 or 2/21 at Archivers. I'll be off and hope to be able to craft with you fabulous ladies. This is so ADORABLE Lisa!